An organisation’s information is its most valuable asset in the digital age. Without dedicated information security practices, businesses will struggle to combat even the most basic cyber threats. Laying out these procedures in a dedicated company document is a vital first step to protecting valuable enterprise data. What is an information security policy? Customer identification and transactional information. IT system hardware or software. The goal when creating a security policy is providing a single simplified approach to interacting with sensitive business information. Comprehensive risk management reduces the threat of malicious cyber threats and accidentally exposing valuable data or IT systems to public view. Businesses should consider three key components to information security in order to create the best possible plan. Here’s a guide to these vital steps and why they matter to exhaustive cyber risk management. One of the most important decisions when creating a dedicated information security policy is to consider how it will apply to your business long-term. Risk management should be scalable to future growth and enforceable by business seniors. Your information security policy can’t be a fixed document left to gather dust on a shelf – it should be a living demonstration of your business’s risk management strategy. As your organisation grows, adds new employees or expands its premises, your data protection policies need to change too. This ensures the information remains valid, no matter what the future has in store for your operations. An information security policy should be a living document, not consigned to a dusty shelf. Additionally, if your information security policy isn’t enforced then you’ve wasted your time. Everyone in your enterprise, from the top-down, should play a part in holding others accountable for protecting your business’s information. Key to this is ensuring your risk management strategy has parameters determining what behaviours are compliant, and rewarding employees who abide by these rules. Why it matters – Your information security policy should be a living business document that suits you, now and in the future. Making it scalable and enforceable ensures all employees are clear about how the policy improves risk management. In line with enforcing information security practices, you need to ensure everyone in your business buys into the positives of a dedicated risk management policy. Without this investment in data security, your business can be exposed to cyber threats. Consult with multiple internal parties to get everyone’s ideas about what your information security policy should cover. Go beyond just the IT team – other perspectives can make your data protection practices more comprehensive. When laying out the finalised ground rules of your information security policy, make sure that everyone in your business understands why you are implementing these information security measures. People will be more likely to buy into the idea if they know why you’ve chosen to do it! Finally, once the document is live, you need to ensure that all senior business personnel support the procedures and communicates this information to staff. This investment from the top demonstrates that everyone is on board with data security, and reduces the likelihood of an individual slipping up accidentally because they forgot one of the rules. Why it matters – Your employees should be using your information security policy week-in, week-out. If they don’t understand the purpose of the document, or don’t feel like it’s applicable to them, it’s very likely that the policy won’t be followed. All employees in your business need to buy-in to securing your operational data. 3) Investing in regular risk analysis from IT security expertsLastly, a vital component to information security is conducting a regular risk analysis. These regular checks should help you to identify what threats affect your business over time. A data security issue two years and 20 fewer employees ago may not be as minor a problem now. That’s where periodic risk analysis can help. Check your business’s IT infrastructure and devices to see if there are any viruses or outdated software that can compromise your risk management. It also helps to perform a wider-angle analysis of how your business growth could affect information security in the near future. Experts in IT data security can help to run this analysis and make recommendations for better managing your information security into the future. 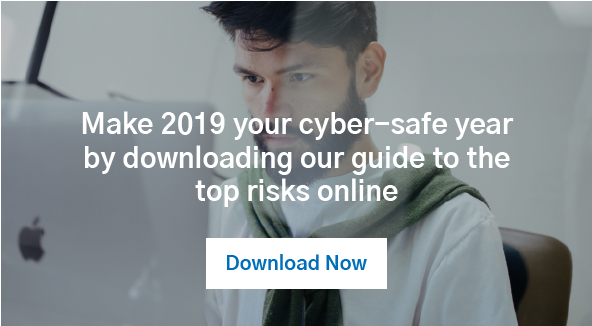 Why it matters – Regular risk analysis, of your IT systems, hardware devices, and of future business plans, ensures that you’re prepared to face any imminent cyber threats to information security. The Australian Cyber Security Centre emphasises the importance of preventing online threats rather than reactively treating damage done. Building a detailed information policy is vital to risk management, ensuring operational data is in safe hands. But managing your enterprise security infrastructure can be challenging to stay on top of, especially for smaller businesses. That’s where Biztech excels. Our team has worked with groups across NSW to improve information security across all operations using our extensive industry expertise. For more guidance on improving your business’s information security, contact Biztech today.